Considering how The Mars Volta's songs are so complexly intertwined, it would only make sense that the band's ever-expanding family of related projects are bound together as well. In November, two such groups, Zechs Marquise and Free Moral Agents take to the road to show us how this brood continues to grow. Zechs Marquise features multi-instrumentalist Marcel Rodriguez-Lopez (who also plays in The Mars Volta) and bassist Marfred Rodriguez-Lopez, both siblings to legendary guitarist Omar Rodriguez-Lopez. Free Moral Agents is a collective of musicians founded by The Mars Volta's Grammy Award winning keyboardist Isaiah "Ikey" Owens. A new promotional video has been released courtesy of Rodriguez Lopez Productions (watch HERE.) Please see complete tour dates below. 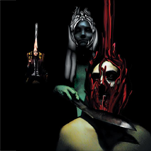 While sharing The Mars Volta's penchant for expansive passages, Zechs Marquise takes a hazier, psych-laden approach to its songs, as evident on its 15-track debut album Our Delicate Stranded Nightmare which was released in Fall 2009 via Rodriguez Lopez Productions (listen to: "Chase Scene" and "Sirenum Scopuli"). Stream the entire album HERE. In May 2009, Zechs Marquise signed on to the prestigious management roster at Sargent House and released Our Delicate Stranded Nightmare in the U.S. on vinyl and CD on August 25th through Rodriguez Lopez Productions. 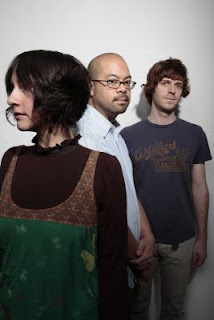 Acoustic folk trio Good Old War continues its busy schedule, announcing a CMJ showcase this month, followed in December by headlining tour dates and a split EP with fellow Sargent House artist Cast Spells. The group then caps off the year with winter west coast performances with songwriter Anthony Green, playing both as his backing band as well as their own full set. See full tour dates below. Good Old War plays the CMJ Music Marathon on Wednesday, October 21st at the Studio at Webster Hall as part of the showcase hosted by Feedback, The Syndicate and Amnesty International. In support of the Cast Spells (Dave Davison of Maps & Atlases) shows, Sargent House is releasing a 4-song EP comprised of two new tracks by each act. This new release is the first new music from the band that's seen a whirlwind of touring (including dates with RX Bandits, The Honorary Title and Gaslight Anthem) and radio appearances since the release of Good Old War's debut album in 2008. Recently, Good Old War was among the top most added on the Triple A (Adult Album Alternative) radio charts for the single, "Looking For Shelter" (MP3 HERE.) While the band's lulling harmonies have already caught fire with younger listeners, the Triple A commercial & non-commercial radio attention is glowing testament to Good Old War's vast appeal. In fact, many fans were so inspired by the Pennsylvania group's Sargent House debut, Only Way To Be Alone they've posted cover versions of Good Old War songs to YouTube. Alternately, check out the official video for "Weak Man" HERE. 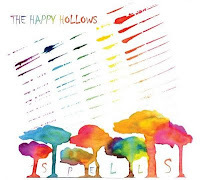 The Happy Hollows release Spells, announce October east coast dates and Spaceland residency in November. New MP3 single "High Wire" posted. 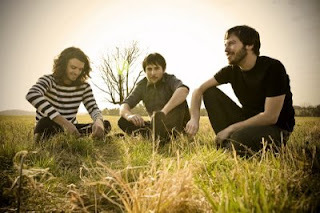 Click (HERE) for the new MP3 single "High Wire". For further listening, check out MP3s for "Faces" (HERE) and "Monster Room" (HERE). Stream the full album here. The young group's infectious and irreverent noise-pop has earned considerable following up and down the west coast, with their energetic and charismatic performances. Vocalist/guitarist Sarah Negahdari wields ominous riffs and finger-tapped arpeggios while singing with a cherubic-yet-mischievous grin. Meanwhile, the agile rhythm section of Charles Mahoney (bass/vocals) and Chris Hernandez (drums/vocals) vault and lunge with precision. 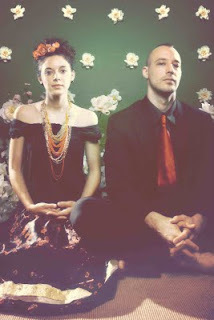 Cleveland duo mr. Gnome launches a lengthy U.S. tour today that will keep them on the road until late December. The trek is in support of the November release of the band's sophomore album, Heave Yer Skeleton and the vinyl release of its previous disc, Deliver This Creature. Please see complete tour dates below. Chan "Cat Power" Marshall fronting Queens of the Stone Age? Karen O leading Death From Above 1979? Mr. Gnome has been given many unusual comparisons, all of which seem to indicate the band's spectacularly unique sound. 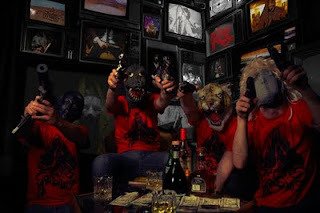 And, while none seem to fully capture the band's loftily heavy-beautiful music, mr. Gnome offers up two brand new tracks from its forthcoming album recorded at Josh Homme's Pink Duck Studios in Los Angeles. Follow the links to MP3s for "Slow Side" (CLICK HERE) and "Vampires" (CLICK HERE). The endlessly touring pair of guitarist/vocalist Nicole Barile and drummer/vocalist Sam Meister is currently mixing at Butch Vig's Smart Studios in Madison, WI putting the finishing touches on its sophomore album, Heave Yer Skeleton, slated for release in November. Heave Yer Skeleton, the follow-up to mr. Gnome's debut full-length, Deliver This Creature, promises to be no less a musical twist than the last offering. Returning with the same basic, minimalist ingredients; a soulful, feminine power and inventive, dynamic drumming, the two are suspended in a sea of drug-induced themes pouring from their simplistic set-up. The id, dreams, silver giants, hallucinations, flying horses, the devil, Armageddon, vampires, and ghosts are just a few of the hauntingly, hypnotic subjects floating between pleasure and pain in the soundscapes of Heave Yer Skeleton.